Civil society is crucial to wildlife conservation around the world. Wild Migration is focusing on building the capacity of wildlife scientists, wildlife policy experts and increasing the role of NGOs in CMS and Ramsar policy discussions. In 2014 Wild Migration worked with the World Wetland Network (WWN) to conduct a survey of WWN’s members and the broader wetland conservation community. The purpose of the survey was to explore the relationship nongovernmental organisations (NGO) and civil society organisations have with Ramsar and delivery of Ramsar wetland conservation goals. 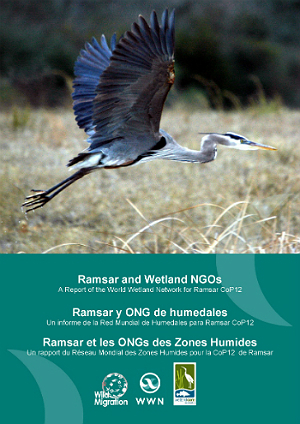 The survey overwhelmingly showed that NGOs are committed to Ramsar and want to do more. a)	Recognize that NGOs often create a longer-term and more continuous link for Ramsar than Government Representatives. b)	Develop more structured guidance for Ramsar Parties, and National Focal Points, on how to engage civil society, possibly as part of a CEPA programme. c)	Explore options to expand on the International Organisation Partners status to include more NGOs and civil society organisations in the decision-making process for Ramsar at international, regional and country levels. d)	Explore options for inviting NGO and civil society input into reporting on the state of wetlands, as well as having input to the Ramsar wetland nomination process and the Montreux Record. e)	Prioritize funding and support for NGOs and civil society organisations that are working on Ramsar listed wetlands. 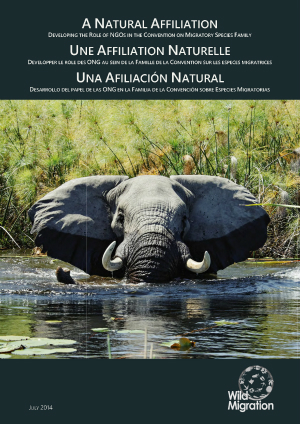 In the lead up to CMS CoP11, Wild Migration contributed to the preparation and facilitation of four CMS regional workshops in Latin America, the Pacific, Africa, and Central Asia. The preparatory workshops were acilitated alongside CMS staff and focused on training representatives from each of these four regions for CMS CoP 11, November 4-9, 2014 in Quito, Ecuador. During CMS CoP11, the Government of Ghana working with Wild Migration brought forward CMS Resolution 11.11: Enhancing the Relationship between the CMS Family and Civil Society This was unanimously adopted by the CMS Parties. for consideration at CMS CoP12.